Attention on deck ! I am tightening the reins 44th. The coming months we can look forward to the launch of not one, but two new Featured Episodes starting with September 12th “Beyond the Nexus” and “Melting Pot” in October (precise date unknown as of yet). Both will star LeVar Burton reprising his role as TNGs favorite engineer Geordie LaForge. He will be tasked with a special mission which will serve as an introduction of the new Fleet Holding which goes live in October. It will have a whopping full 5x Tier requirement, which means we as a fleet need to start preparing for it NOW. 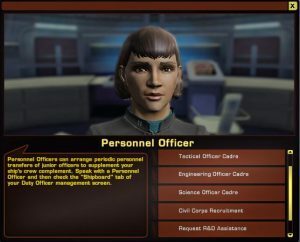 For yourself, and for your fleet, please start picking up the free white Doffs from the Personel Officer (link) on the Fed/KDF Academy, New Romulus Command (console) or on our fleet starbases (in Ops and the Sci/Tac/Eng decks) – that’s a total of 14 various White Doffs on average every 3 days. They are free and it will only take you a few minutes to pick them up (ignore the listed 1,000 dilithium General recruitment pack, way overpriced!). It will be profitable to buy and store a bunch in your mailbox via a mail terminal for later use. Plus you can always use the Armada system to donate from Delta fleet to 44th Main and back. Also remember that you can still cross-donate – Fed Doffs can be donated to KDF fleet projects and vice-versa – an unintentional glitch which Cryptic doesn’t mind it seems, which we will again take full advantage of. And yes, you can buy random white doffs at our fleet starbases for 500 fleet credits, but why pay hard-earned FCs when you can get them for free ! As mentioned in my previous blogs, we will focus on the main 44th Fleet’s new fleet holding first, followed closely by Delta and KDF. This so we can identify and only pick the really necessary projects for Delta and KDF, skipping the ‘speed bump’ cosmetic ones, and unlocking/provisioning the “must have” ones first. We will also continue to only slot necessary provisioning fleet projects in the 44th Fleet and 44th KDF, and focus on completing the final starbase tier V on 44th Delta Fleet. You can ask a Commodore or Admiral for a specific project to be opened for you if you like, only requirement is that you fill about 50% of it yourself. And this is available for everyone, doesn’t matter if you’re of fleet Lieutenant or fleet Captain rank. Related, we will pick a new Gamma Fleet for our 44th Fed Armada in the coming weeks and we hope to get a large one so the Armada bonus you receive will be worthy – the more members in an Armada, the higher the passive bonuses for you *link*. We will need a serious amount of dilithium for the new fleet holding, easily several million total. Start putting some dilithium aside for yourself and your fleet. There will be lots of new and expensive equipment, ships(s) and other goodies coming with the launch of S14 so make sure you have some dilithium and/or zen saved for when it goes live in October. You can count on it that the dili/zen market will spike, crash and wobble from the fairly stable 300 it has been, so if you have the Ferengi Lobes for it you might even make a nice dilithium profit (hint #2). New Season starter packs usually begin at 6,000 zen and full ones go up to 12-16,000 zen – this is why we encourage you to start saving so early because even having just 1,000 zen saved will be nice on your wallet. Speaking of Free, we can also look forward to some extra free give-aways, including some uniforms – the skant (!) has been confirmed – low-tier ships (a new Type-7 shuttle *link* has been confirmed) and some minor quality of life items/services prior to S14 launch. These will often only be valid for a specific day so keep an eye on the official STO website or this 44th forum which lists all the new announcements below. And a special shout-out to our fleet’s Vice-Admiral Damix: for some time Damix has been updating, improving and especially correcting a lot of pages on the STO-Wiki – a must for any STO-player. As you can imagine it’s a lot of fact-checking and tedious browsing but something we as a STO-community all benefit from. In fact STO-wiki was impressed enough there’s now a vote in progress to have him on staff, vote should be out in two weeks but I’m fairly confident it will go through. So congratulations and thanks Damix ! 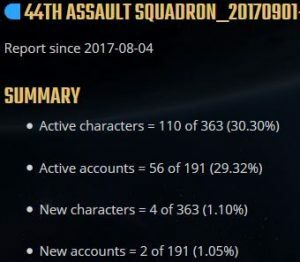 There’s been a dip in fleet activities in general and in STO as a whole; both due to the usual season/holiday dip and basically burn-out – it is very easy to get overwhelmed by the many things to do in Star trek Online, and it is fair to say some did by the previous events and upgrade weekend shenanigans. As always, we keep saying that this is a game and you need to play it the way YOU like it and don’t feel forced that you “must” do max DPS or “must” upgrade everything to Epic. 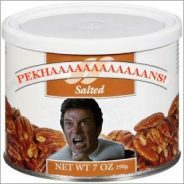 If you just want to play episodes on Normal and fly around in your favorite Tier 4 ship with green Mk X gear that is perfectly fine in the 44th Fleet. It’s always more fun and easier to play with fleet-mates especially if you’re grinding for a specific reward or item. Two new consoles I like to highlight that are nice to have if you have ec to burn. On gear, some of the nicer gear can only be crafted by level 15 R&D or bought on the exchange for a shuttle worth of ec. Remember that your fleet can craft stuff for you if you arent’t able (yet). 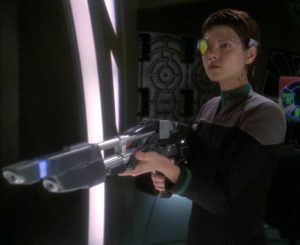 Prime example is the crafted TR-116 rifle which is very usefull against Borg (they can’t remodulate so you don’t have to) and is considered a must-have for many Borg/Elachi ground maps. Another example is if you can’t afford or don’t yet need the dynamite tactical Locator consoles or need a good lower Mk but very rare shield or weapon for leveling, we can also craft appropriate purple quality gear for that – level your alts OP style ! Ask around in 44th-diplo chat or post on this forum if you want anything crafted – it is 44th Fleet policy that you only have to provide the materials and the fleet will craft it for you free of charge. I had some questions from our returning fleet-members as S13 had some radical changes, and although the dust has settled and many have adjusted to the New Normal, a quick review of the major changes is *here*. Remember that you can still earn some forum ribbons ! The 44th Fleet ship registry is still open *here*, and you can also still earn the Accolade ribbon *here*. This Month we will also have our 44th Fleet Anniversay Celebration, which has some nice give-aways and prizes, so stay tuned. See Paradoxical’s post here ! Questions ? Comments ? Shout out here or in diplo chat ! That’s it for this month, see you out there captains ! I myself should be able to donate 2000 doffs to fed side and 500 doffs kdf. But this will be a small drop in the bucket needed. Save ’em up! I have a guide Here as one way to get these doffs quickly. You may need to invest some EC into it at first, but if you follow the guide, you could make your EC back and even make some all while stockpiling doffs for the fleet. Just wanted to pitch in that I’m at 18 across the board for crafting and very close to 19 for Beams and Cannons. If you want anything crafted, I’m more than happy to do it and can use the XP. Just email @Novellus what you want and I’ll get back to you with a list of materials and craft it right away. As a side note, I’m hoping to get a 3 part Foundry series started soon. I’ve been kicking around the idea for years and it’s time to stop being lazy. Will be looking for beta testers and feedback. I’ll make a separate post soon! Maybe we should start a friendly competition to motivate everyone to save up those common doffs? I have a relativity even mix of 50 white doffs saved so far. 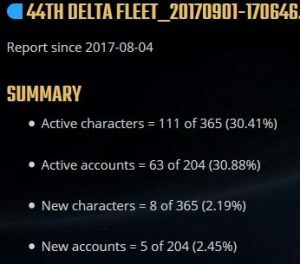 My goal is to have at least 200 by the time the new fleet holding goes live. It actually forced me to clean out my mailbox so I won’t loose them all since I’m storing them there! Anyways, maybe a friendly competition of sorts? Looking forward to leveling this colony up. Sure, we’re open to that, just need to figure out exactly what kind of competition; Paradox already mentioned he has over 2,000 lined up, tough to beat that… So we have to get creative then. Any ideas ? Oh, I don’t expect anyone to compete with me. I have over 1 million fc on almost every toon to boost my doff count. If they want to try to compete, just do it amongst yourselves. I’m going to wait 1 week after the drop to allow others to get them in before I start dropping them. Maybe to level the playing field and have fun we can do a raffle? something where everyone who contributes to the new fleet holding gets a raffle ticket and we set some incentives like you contribute 100,000 k worth on the list you get an extra ticket etc capping it at 1,000,000 points? That way you can earn up to 10 raffle tickets but even a modest contributor has a shot with their single ticket. You’d have to show up to a live event in game to be eligible to have your ticket called and receive the prize. If there’s interest in this I would propose doing it at least 4 week after the new season drops. Maybe do it two months and make it part of a Holiday party. I have a the ship pack that opens up and gives you a kelvin connie/ BOP etc if we’re interested in that as a prize. Interesting, that could work. We need to see what the new Dranuur Colony Fleet Holding (link) will end up costing us resource wise, but a monthly raffle – maybe in combination with that new fleet ground event to get everyone together – could work nicely and entice contributions. Up to a point we can track contributions via the Leaderboard, maybe make a snapshot each weekend to keep score. I like this, this has my vote. We’ll see if we can get some prize-packs together to get this ball rolling, and we’ll post an official announcement in the next week(s) with the event to go live after S14 hits (which may even already be in the first week of October). I have some Kelvin Timeline Mirror Universe stuff I could kick in too. A pair of cruisers I think. Star and Assault Cruiser. They aren’t worth much on the exchange, but I reckon they’d be okay Admiralty cards. Also, if you want some kind of online raffle system, I could probably help write it. This reply was modified 1 year, 7 months ago by Novellus Caine. Any involvement and assistance is always appreciated, I will take you up on that Caine. Depending how it works out, we should still be able to hold some kind of raffle/competition. It should go out on Tribble soon so we’ll keep an eye on that. 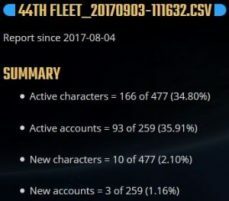 Upcoming fleet holding sounds interesting, it could make fleet actions a thing again. It could come to tribble this week so I’ll be checking it out. Totally good posting that ship pack as a prize :). The write up looks interesting. Should be interesting to see what we learn from tribble. I don’t think it is a coincidence 😀 But I ruined it a few hours later. 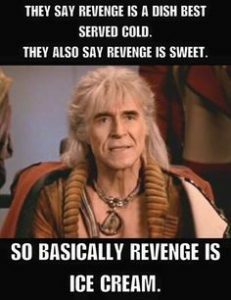 It is possible that we won’t be needing Doffs afterall, or any of the traditional (replicator) resources we used for the five tiers of the starbases. I checked the new fleet holding on tribble, all types of doffs will still be needed. Provisions won’t be purchased from replicator, but they are earned on Colony World fleet map.